The National Union of Women's Suffrage Societies (NUWSS) was formed in 1897 by Millicent Fawcett. Known as the Suffragists, their goal was to gain the vote for middle class property owning women through peaceful demonstrations, petitions and lobbying MPs. By 1903, some members of the NUWSS had become dissatisfied with the slow progress of the movement, believing the cause should be more militant and be aimed at working class women as well as those from the middle classes. As a result, Emmeline Pankhurst broke away from the suffragists and formed what became known as the Women's Social and Political Union (WSPU). Their motto was Deeds Not Words and they were willing to break the law and put their own lives at risk to gain the vote for women. The Daily Mail wrote a disparaging article about them in 1906, mockingly calling them the Suffragettes as a play on words but ironically, the nickname stuck and is to this day is synonymous with the struggle for women’s right to vote. In 1907, Edith Garrud had a starring role in one of the first martial arts films where she featured as the protagonist in a short film produced by Pathe entitled; Jiu-Jitsu Downs the Footpads. “Woman is exposed to many perils nowadays because so many who call themselves men are not worthy of that exalted title and it is her duty to learn how to defend herself. 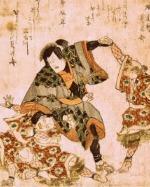 Because ju-jutsu has over and over again been proved to be the most effective means in moments of emergency for repelling the attack of a ruffian. Because it is easy to learn, and because it is, quite apart from its combative value, a splendid exercise. It is the very thing for women as well as men to take up thoroughly.”. Edith Margaret Williams was born in Bath in 1872 and moved to London after marrying William Garrud in 1893. Her first introduction to jujitsu came when her husband, a physical culture instructor specialising in gymnastics, boxing and wrestling, attended a martial arts exhibition in 1899. 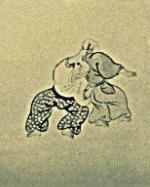 Soon after the couple began lessons studying at Sadakazu Uyenishi’s Jujitsu school in Golden Square, Soho. At just 4ft. 10in, Garrud found jujitsu the perfect way for her and other women to defend themselves. It allowed her to beat men much larger than herself as she was able to use their own size, strength and energy against them and it taught her to target more vulnerable areas of the body such as pressure points and the joints of limbs. She excelled at jujitsu and soon after became one of the first Western women to teach martial arts, specialising in women and children’s classes. In 1908, Uyenishi left England to return home to Japan leaving his dojo in the capable hands of his senior students, which included the Garruds. According to a 1910 edition of the Evening Telegraph, Edith Garrud’s skills were put to the test by a good-natured policeman. At over a foot taller than her he was confident he could subdue her, stating before they began; "why you’re only a little dot of a woman". The pair tussled for a few minutes before Edith fell flat on her back allowing the policeman to tower over her. Just as he thought he had the advantage, she pushed her feet into his diaphragm and flung him over her head, causing him to somersault in mid-air and land heavily on the back of his head. When he got up, the policeman thoughtfully scratched his head and stated; "if that had happened on the pavement instead of this mat the police force would be one man short". The Women's Social and Political Union (WSPU), better known as the suffragettes were a militant section of the women’s suffrage movement formed by Emmeline Pankhurst in the early twentieth century. They believed the fight to gain the vote for women in Britain should be less about talk and more motivated by action. They formed protests, marches and even took part in illegal activities including assault and arson and would face intimidation and violence from the police and members of the public in response. Edith’s first connection with the WSPU came around 1908 when she demonstrated some moves and gave a talk to a group of suffragettes. Normally, her husband William would do all the talking when they showed their art to the public but as he was ill, Emmeline Pankhurst persuaded Edith to do it herself. Soon after many members of the group began attending her classes though at this time the main concern was to defend themselves against male audience members who would sometimes manhandle them at their rallies. By 1910, she was heavily involved with the movement, regularly teaching martial arts classes exclusively for WSPU members and even writing for their newspaper, Votes for Women, in which she explained; "women using jiu-jitsu have brought great burly cowards nearly twice their size to their feet and made them howl for mercy". On November 18, 1910, in what became known as the Black Friday Protest, around three-hundred women were faced with a wall of policemen and a baying crowd outside parliament. The women were attacked both by the police and men from the crowds and two women were killed, many were injured, others complained of being groped during the melee and over a hundred were arrested. After this, the suffragette leadership determined they should always be prepared to defend themselves on future demonstrations. In order to resist arrest and constant harassment from the police (who were also taught jujitsu moves as part of their basic training), the WSPU set up a dedicated unit to protect the leaders of the movement. Known as the Bodyguard, it consisted of around thirty women all of whom were trained in the art of jujitsu by Edith Garrud and were willing and ready to undertake the most dangerous tasks that needed to be executed. The ladies would train with Garrud in secret locations across London and as well as jujitsu, were taught to use wooden Indian clubs which were concealed in their dresses and helped them to defend themselves against police truncations. Despite the skills they learned, the Bodyguard were usually outnumbered by the police and if things got physical, they would face injury and arrest. When WSPU members got arrested they would go on hunger strike and would often be force fed with rubber tubes. However, after the passing of the Temporary Discharge for Ill-Health Act, (more commonly known as the Cat and Mouse Act) in 1913, the policy of dealing with these hunger strikes changed and prisoners would now be released and rearrested when they had regained their strength. While this was an improvement in the situation for the suffragettes, it did lead to an increase in the harassment by the police who would frequently be seeking to rearrests the leaders of the movement. The need for the Bodyguard was highlighted at the infamous Battle of Glasgow in 1914. Emmeline Pankhurst was due to speak at St Andrew’s Hall but when she arrived, it was surrounded by the police. The Bodyguard had made the journey to Scotland the night before and positioned themselves in a semi-circle behind the speaker’s podium while Pankhurst evaded the police by buying a ticket and pretending to be a spectator. Within thirty seconds of her speech beginning, around fifty police officers stormed the stage with an ensuing brawl that lasted several minutes being witnessed by around four thousand people. The outnumbered Bodyguard put up a good fight but were eventually overwhelmed and the police managed to arrest Pankhurst and drag her away. While the Bodyguard were well trained in the fighting arts, Garrud also taught them to use cunning when necessary. Soon after the Battle of Glasgow, Pankhurst, who was again sought by the police, gave a speech from a balcony in Camden Square and emerged wearing a vail. The police pounced with her protectors fighting valiantly but eventually she was captured. However, when they removed the vail from their prisoner’s face, they realised they had been duped by a decoy which had allowed the real Pankhurst to escape while the fracas was going on. Later that year with the outbreak of World War One, Pankhurst ordered a suspension of all militant actions, deciding that WSPU members should do what they can to support the war effort. When the conflict ended in 1918, women over thirty were given the vote effectively ending the suffragette movement in Britain. As the Bodyguard were no longer required, they disbanded and Edith Garrud returned to teaching jujitsu alongside her husband William. She would gradually fade from public life and passed away in 1971 at the age of ninety-nine. Camila Ruz & Justin Parkinson. [Internet]. 2015. 'Suffrajitsu': How the suffragettes fought back using martial arts. BBC News Magazine. Available From: http://www.bbc.co.uk/news/magazine-34425615 [Accessed February 09, 2018]. Rachel Williams. [Internet]. 2012. Edith Garrud: a public vote for the suffragette who taught martial arts. The Guardian. Available From: https://www.theguardian.com/lifeandstyle/2012/jun/25/edith-garrud-suffragette-martial-arts [Accessed February 09, 2018]. Suffrajitsu. [Internet]. 2013. Women's History Network. Available From: https://womenshistorynetwork.org/suffrajitsu-the-jiu-jitsu-teacher-of-the-womans-war/#more-2928 [Accessed February 09, 2018]. The who's who of the suffragettes. [Internet]. 2015. The Telegraph. Available From: http://www.telegraph.co.uk/film/suffragette/famous_suffragettes [Accessed February 09, 2018]. The women's suffrage movement. [Internet]. 2014. BBC. Available From: http://www.bbc.co.uk/bitesize/higher/history/britsuff/suffrage/revision/2 [Accessed February 09, 2018].